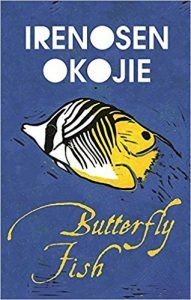 Butterfly Fish is one of those rare books whose raw invention entices you in and cries out for a second reading. There are so many ideas and stories swimming in the novel that it is literally teaming, as if the book had tendrils reaching out from its pages, wiggling at you and reeling you back in, or sending you off down a new tributary of thought. Joy is the centrepiece of the novel. A British Nigerian born and living in London, Joy loses her sense of gravity when her mother dies. She inherits the diary of her grandfather and a bronze head. In the quest to understand her identity, other stories unfold: we learn about her mother and we follow some of the history of the bronze head that takes us back into the history of the Kingdom of Benin. Mental health and magic are driving forces that bend and shape reality to wonderful effect so that the magic of the witch doctor, the power of curses, the strength of being connected to the alternative sides of reality, breathe life into Joy’s journey with gritty, fairy-tale results. 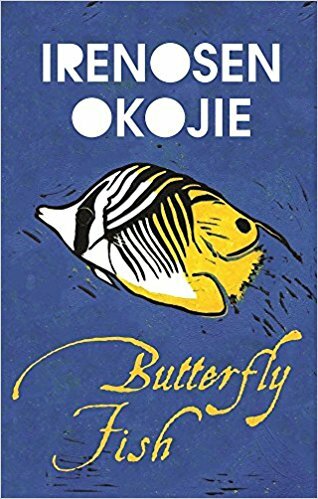 Though there are the occasional moments when I pause to wonder exactly what is going on, or how I moved from one scene to the next, these confusions are full of Okojie’s belief and trust in the reader and this creates a benign authority, one that gives the reader the pleasure of navigating her rich landscape that depicts with equal colour an African court and London’s East End. And these occasional moments are testaments to the complexity of Butterfly Fish, another of its strengths. I want to pick the book up again because I want to relive the characters’ experiences. Their lives are full of the muddiness of real life and this is why the story is so beautiful. Okojie’s language is lyrical and her outlook is generous in scope and attitude. Butterfly Fish is a delight. I thoroughly recommend it. Next week I’m reading Judas by Amos Oz.